[Girl in Blue]This title is a translation sourced from Granblue Fantasy. The young girl who could only sit by and watch her friends has awoken. She is no longer the protected, but the protector. Her heart calls forth grand miracles to the azure skies. Primeval Dragon 600% elemental damage to a foe. Strength: 10% (Damage cap: ~2,150,000). Strength: 50% chance of dealing 20% more damage. Strength: 50% chance of dealing 30% more damage. Strength: 30% upon using a skill. Charge bar fills up faster from damage taken. 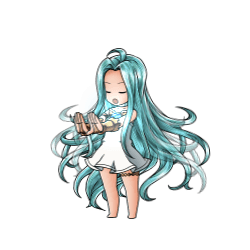 Can use summons twice in one turn if Lyria is in the front line. If the Main Character or Lyria reaches 0 HP, both will be knocked out. 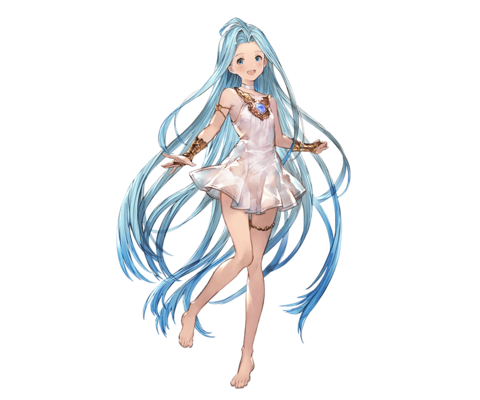 Lyria's element is the same as the Main Character. Her Charge Attack's elemental damage changes accordingly. When using the event summon Dark Flame Scion, one of her skill cooldowns will reset. 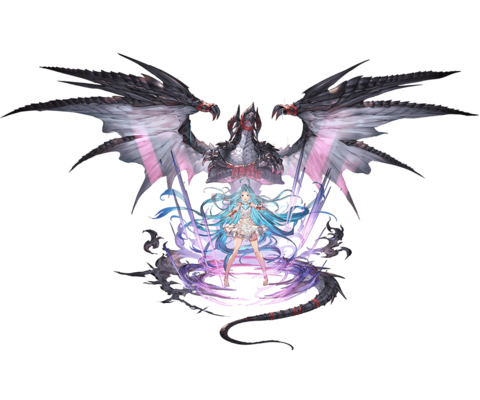 Certain call effect buffs such as Grimnir (Summon)'s God of War ReturnsSkill will activate 2 turns later. 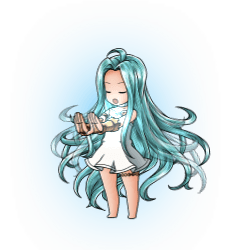 which would normally be given to the Main Character will instead be given to Lyria, and damage will be calculated from her stats accordingly. Counter attacks grant 5% charge bar per hit..
She'll use her summoning animation and a flash of light will strike the enemy. If the Main Character or Lyria is knocked out, the other will be knocked out even if they're in the back row. When Lyria is in the back row. When either the Main Character or Lyria is knocked out. This page was last modified on 1 April 2019, at 04:46.